Sweets had a PT eval yesterday. It had been almost a year since the last one, and about 8 months since we quit PT. My main questions were where her current ability levels are and whether she still needs to wear the orthotics. The outcome is that she will continue with the orthotics, and she scored lower than I expected for her current ability levels. Surprisingly, this is about the same percentile that she scored for PT when she was about 13 months old, when she couldn't walk, cruise, or crawl. 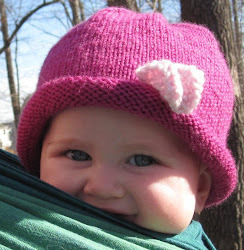 At 13 months, she scored age equivalent to 9 months, which was <5th percentile. Now at 33 months, she is scoring 18-23 months age equivalent, which is actually a higher percentage of delay by age. The main impediments that were noted were that Sweets could not jump up off the floor or the trampoline (she tries, but only her heels get off the ground), and she could not stand on one leg for 3 seconds. She also may have scored lower on ball activities because she isn't really that interested in balls. Though by my observation I felt like she did just fine with all the ball activities they asked her to do (pick it up, throw it, kick it, etc). I guess that's why I'm not a PT though, since she seems fine to me. Overall, I had felt like Sweets was doing fine with PT and would not qualify for anything, but it turns out she is still pretty delayed. I guess once a kid knows how to walk, we stop worrying about PT. I feel very surprised that she actually scored worse on her PT than she did on speech. I feel like her speech delay is much more obvious and much more of a problem. The PT eval discussed options for therapy with me. We won't be taking her to the clinic because it is very expensive to go there. We went there 4 times when Sweets was 13 months old, until early intervention kicked in, and it cost us $75 per session, which is ridiculous. I mentioned that if she qualifies for IEP, that hopefully she could get PT through the school. The evaluator said that even with delay, the school often won't provide PT unless the child can't access all areas of the school and playground. As far as I know though, Sweets can access her school and playground just fine, so she still may not qualify for services. The other option is for us to find a PT who will see her at school the way her early intervention PT did, and we will just pay it through insurance. The issue here is that we want to make sure we have enough insurance visits for the speech therapy, so that will depend on what the school provides for speech. Even if the school provides speech therapy, our docs are recommending PROMPT therapy once per week, which we would have to provide separately somehow because I don't think the school has access to this kind of therapy. We only have 75 combined therapy visits per year, and we would rather use them for speech than PT if we have to choose. So I'm still not even sure if we are going to do PT for her at all at this point. Though I feel like we should now that I've seen her low scores.